Henry loves cars. Did I say loves? I mean is obsessed with cars. Well, at least toy cars. 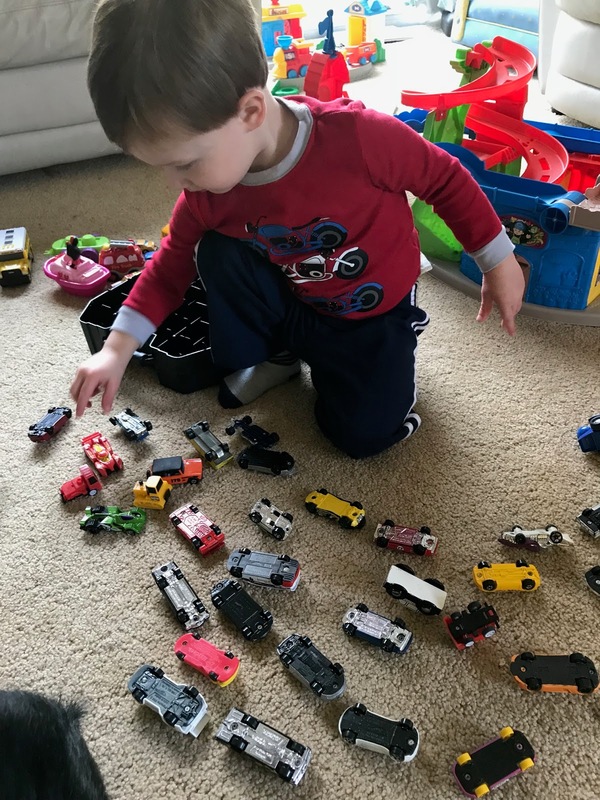 He doesn’t have anything against real-life cars, but toy cars are his main jam. 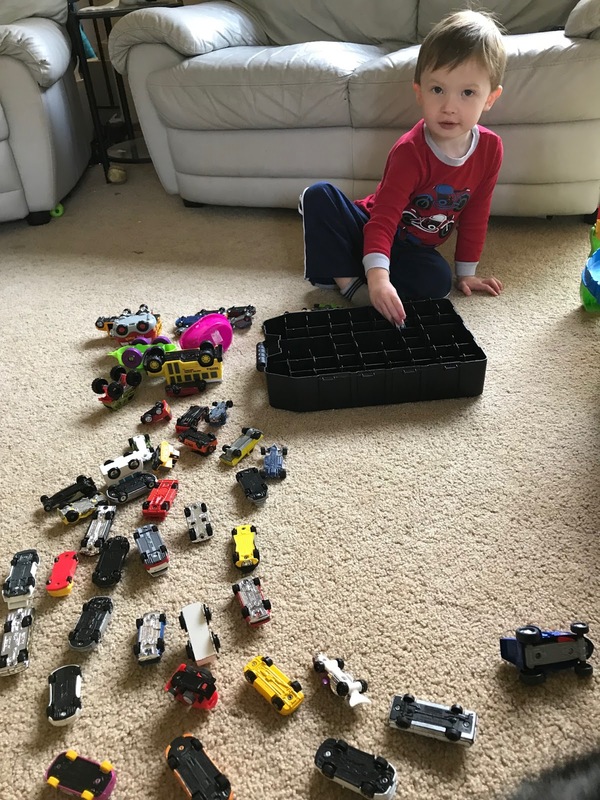 His Dad also loves toy cars (age is just a number, folks) and often buys Henry a new car when he’s at the store. So, we’ve accumulated quite the car collection. This combines two of Henry’s favorite things: cars and orderliness. He puts them in his car case. He takes them out. He lines them up. He pushes them one-by-one on the hard floor. He puts them back in his car case. He takes them back out. He puts them down the car ramp. He puts them to sleep by turning them on their backs and saying "nighty night" to each one. Which, can we all agree, is stinkin’ adorable? For a kid who can’t sit still for more than 47 seconds, it’s quite shocking to see your kid play with the same toy for 15 minutes. Shocking and wonderful.